Sorry if this is dragging up an old topic which has been covered a million times before but I would like to replace my CDR22 radio with a DAB version. 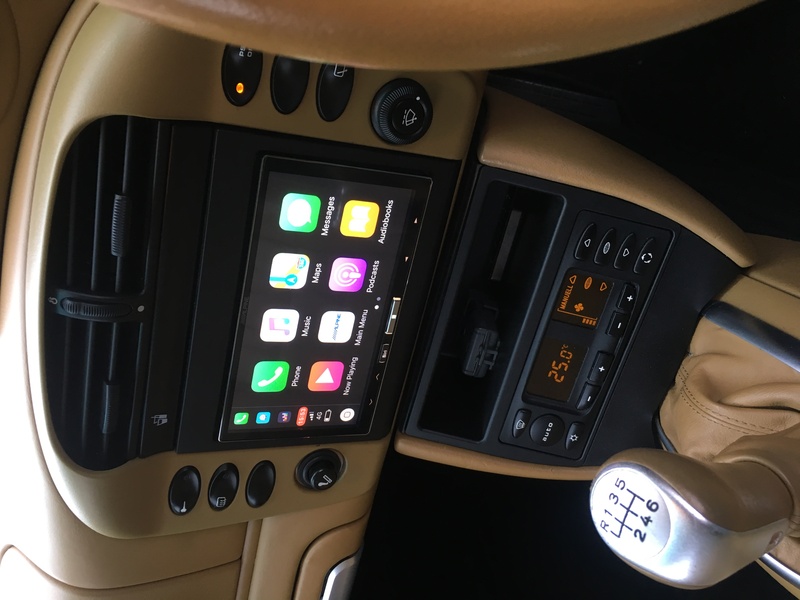 I have searched up putting in a double din nav but im not sure I can be bothered to go to the extent of moving the ventilation controls to make room. This is the exact issue I faced before I bought my new stereo (Which I still haven't fitted). 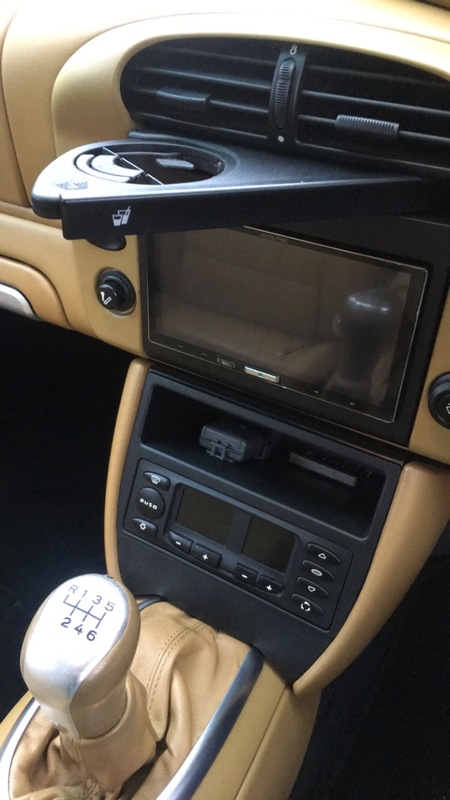 I removed the centre console too, so couldn't move the heater controls, but wanted a Dab radio that didn't look like it was from a 2005 Corsa. I obviously can't vouch for the quality of the radio, but in terms of looks, there really isn't anything that comes close to looking this OEM. You can even buy a little Porsche sticker to go over the Continental one! I fitted a similar model in my 993 recently, but the model with no CD player. Thanks guys that's idea, and reasonably priced too! Do you need a harness or is it dare I say plug & play?? Depends on your current set up, but mine was almost plug and play - just two connector pins to swap (permanent live and switched live). Not sure how the 993 differs from the 996 though. Yes, please share your thoughts CB, once you have it. Paddy and Windy, how do these sound compared to the original Becker units. Obviously no worse I'd expect. They do seem quite cheap, I'm just checking they aren't a backwards step. I currently have my CDR-22 which I much prefer the look of it as it's factory. 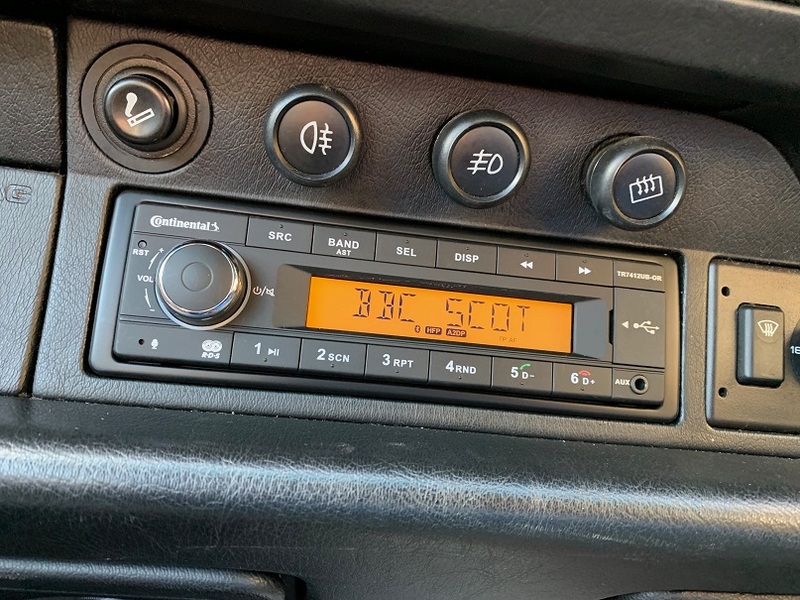 I use a Bluetooth fm tuner thing in my cigarette lighter socket, but the trouble with that is on longer journeys I have to keep retuning the frequency it's on as I encounter radio stations broadcasting on the one I'm using. So it's probably time to do something as I don't want 3500 miles of radio retuning on my holidays in the summer. Any opinions welcome. I hope I'm not hijackimg the thread CB. It's all relevant info I guess. Sound wise it seems an improvement to me. My original unit failed in about 2005 and I replaced it with a kenwwod which was still working but now looked very out of place. I have not used it much apart from installing last weekend and testing it out in my driveway. The beckers arent bad sound quality wise, it's the speakers that deteriorate and break up. Just buy a £2 aux wire from ebay for your becker and plug whatever you want into it. DAB tuner, Bluetooth adapter etc. I have a £15 Bluetooth adapter that does music and calls flawlessly. Thanks for the info lads. I was mainly checking the Continental sounded no worse than the factory head unit. I know it won't sound much better as I'm not adding an amp or sub if I can help it. I aim to have Bluetooth connectivity and renew the 4x 4 inch speakers with the Hertz ones. I don't even have door speakers in my early car. Just cubby holes. So one more question regarding the change of head unit or your Bluetooth option Wasz, can I skip tracks on my phone by using the head unit? I like my phone out of the way or on the screen if I'm using nav. Even my Chinese cigarette lighter socket thing can skip the tracks. I just twist it forward or back. Becker AUX wire. This plugs in where the CD changer normally plugs in. You then enable AUX in the secret menu of the Becker. You ahve to ditch the CD changer. Dual USB power supply - supply from ignition switched on the headunit wiring. One USB powers the bluetooth adapter, the other can charge the phone. Besign BK01 Bluetooth 4.1 car kit. I notice they do a newer BK03 version now. This includes a ground loop isolator which I needed to cut noise. You just plug it all together, I routed the circular Besign bluetooth adapter by just tucking the wire behind the A pillar cover, and used my own double sided foam tape to secure it near the top of the A pillar as the supplied was rubbish. Calls are good quality (considering its a noisy car). You can answer the call with the button on the unit or from phone screen. To make a call though you have to use the phone screen - but I never do that when driving. Music quality is brill. I usually play BBC iPlayer radio catchup, or podcats, Spotify / mp3s on my phone. You can skip tracks with the buttons on the unit. The only issue is when you are listening to the headunit radio, or a tape and a call comes in. You have to switch to AUX - the listening is not interrupted by the call. Had this setup for a year or 2 now and happy with it as it retains the OEM looks and I actually rather like the SQ from the Becker. I don't tend to interact with it when driving really, just set something playing and I'm not someone who is always on the phone either. I tend to leave the phone in a pocket rather than on the mount as I don't interact with it. I plasti-dipped my sticky volume and the other becker knob. I also replaced the ancient nokia speakers with some new pioneers. Ah yes you need one of these to join the aux to the bluetooth adapter. Great info. I'll decide what route to go down soon. My lazy side says the Continental is the easiest but like you I really like factory head units in older cars. The Continentals look just what I am after and quite a good price. If/when one of you fits it I'd be really grateful for an idiots guide with pics if you have time. I'm quite handy with most car things but electrics are something I just can't get my head around. From memory the Conti only has speaker outputs, so if you have the Nokia amp you wil need a converter harness to allow speaker out to become line out. BergvilFX sell such a harness. Double din isn’t that difficult. Alpine iLX works really well. You can keep your cup holder too!